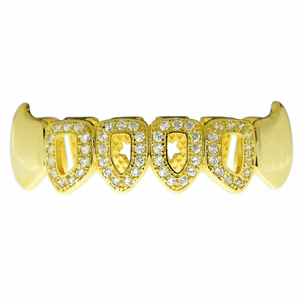 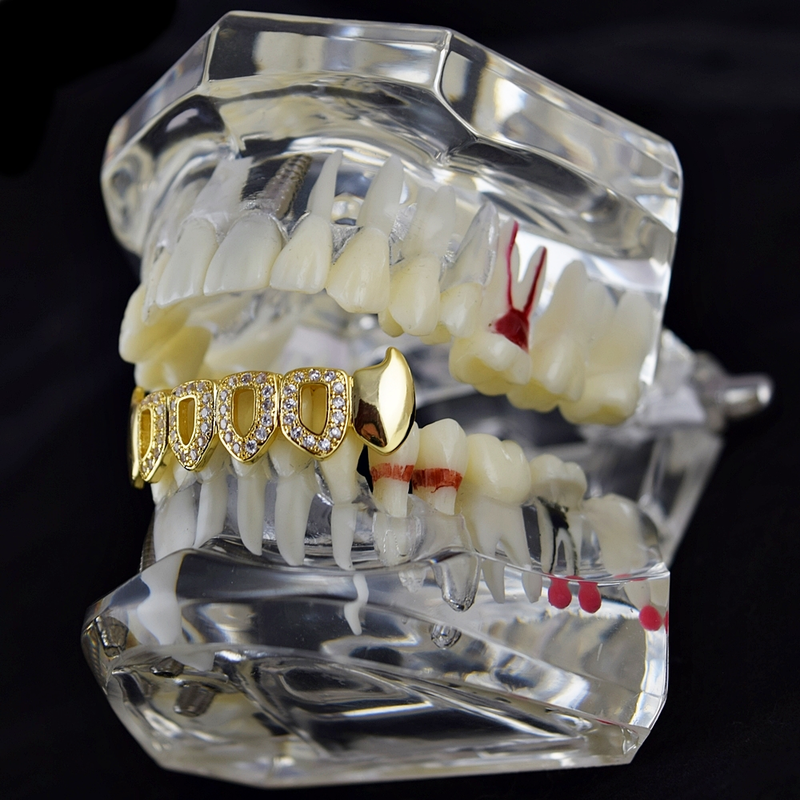 Best Grillz™ lower fang hip hop grillz. 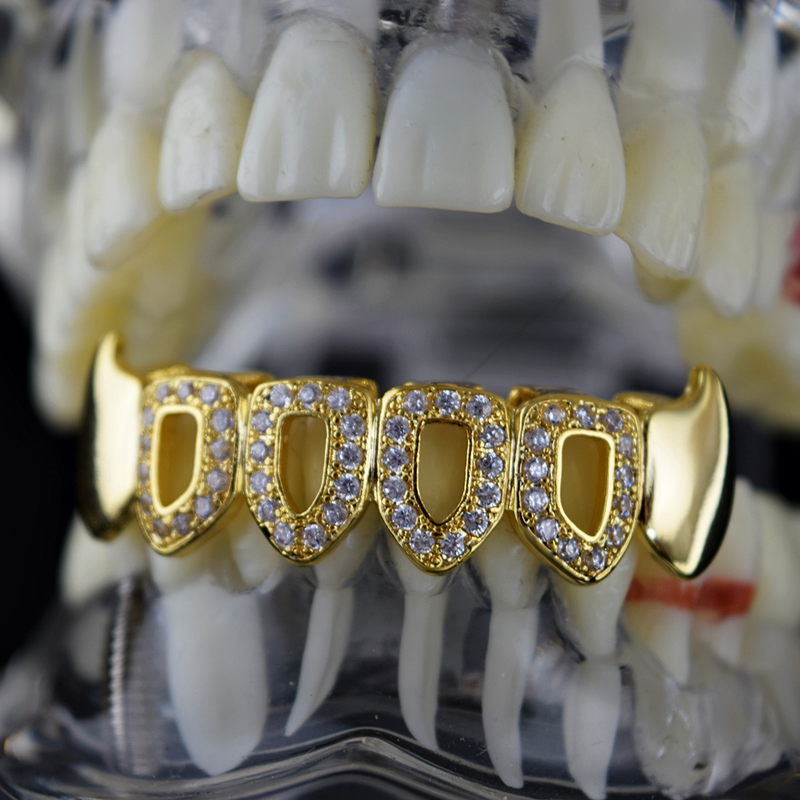 6 tooth bottom grillz featuring 4 open teeth. 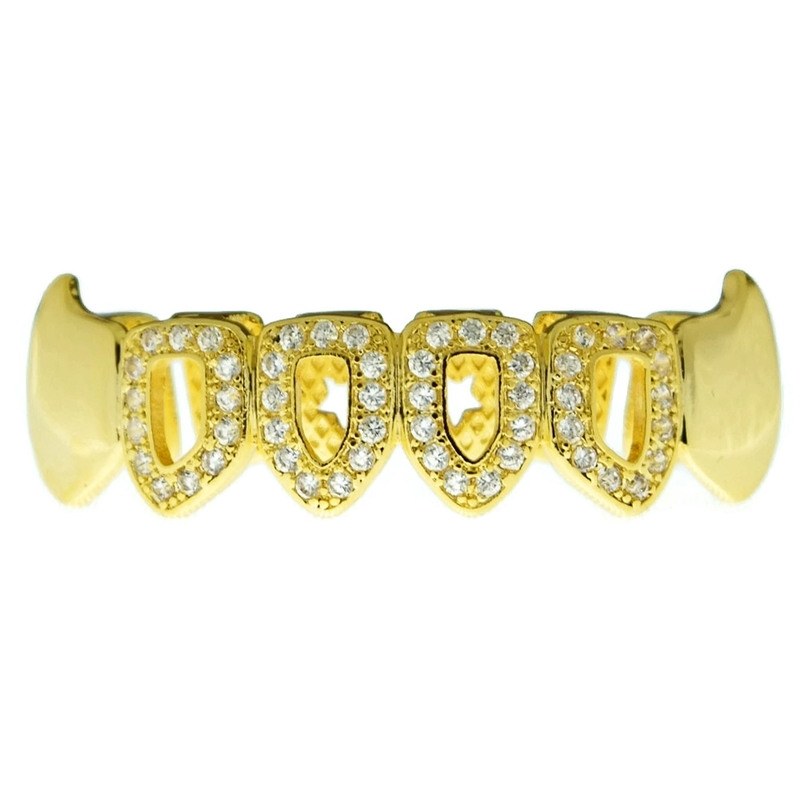 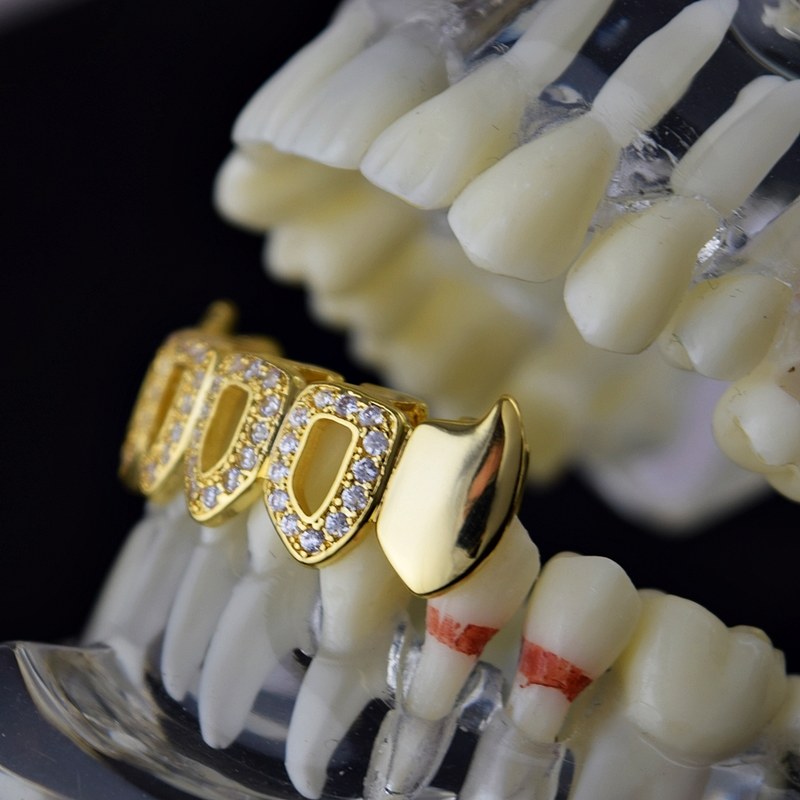 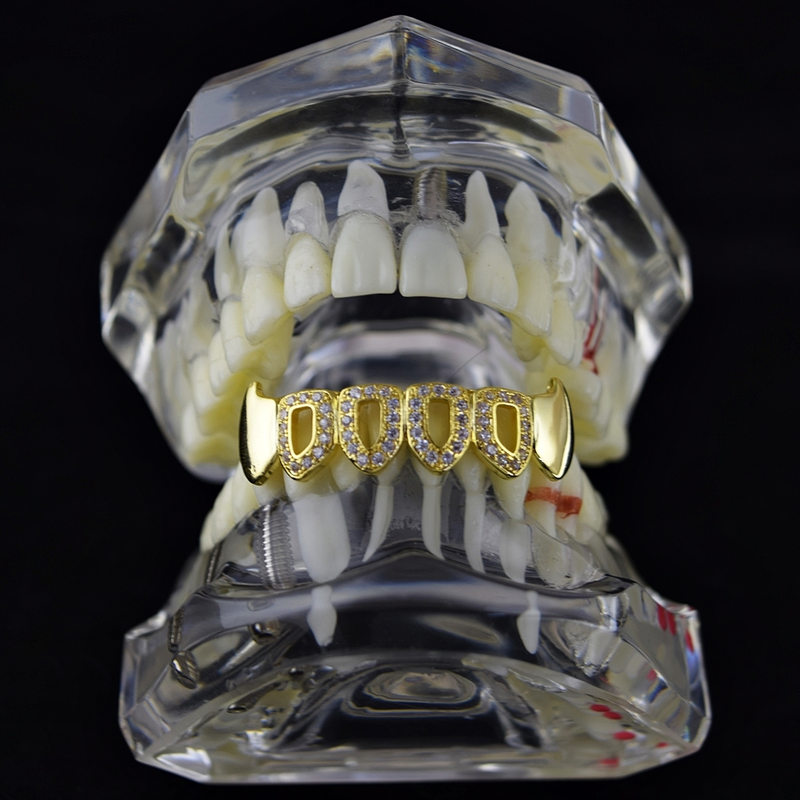 Bling grillz iced-out with dazzling CZ stones.